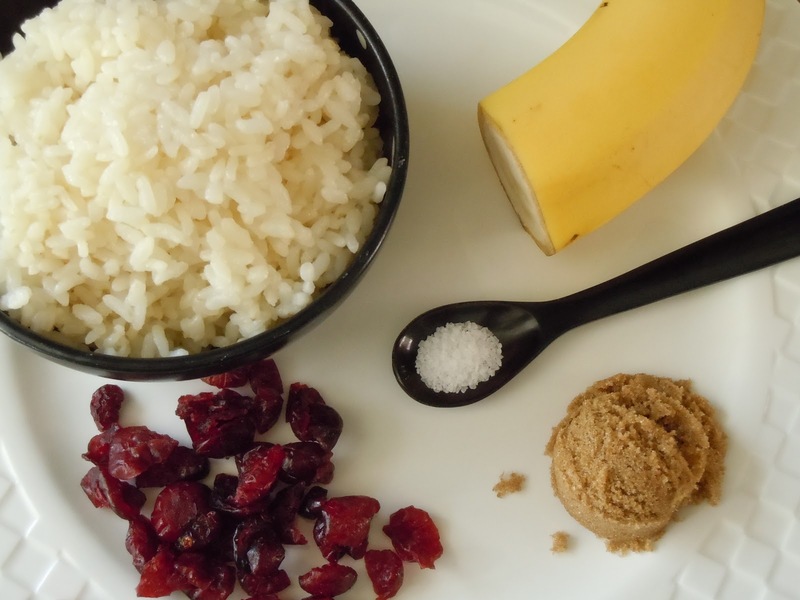 This porridge can be made simply with rice and a little salt for flavor. In its simplest form, it is a perfect baby food. However, by adding vegetables or fruit, you can make a complete meal perfect for breakfasts, snacks or food for older babies. I was just saying to Adam that we should try porridge sometime. Only problem is that he can't have bananas. Any ideas for substitutes? You don't have to use the bananas. Just leave them out. I have made a multitude of combinations with great success. I just kind of put in it whatever you would put in your oatmeal. A very traditional American combo would be apples, raisins, cranberries, brown sugar and, if not allergic, a dash of cinnamon. Let me know what he likes. I would really love to know what other people try!